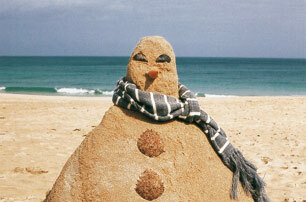 The South West's castles come in many different shapes and sizes. From romantic towers and turrets to barren, windswept ruins. They have served as the legendary seats of kings and giants; as prisons, homes and battlegrounds. History pulses in the rock and the ruins of the South West's hillforts, fortresses, castles and keeps. They provide glimpses into the lives of kings and giants, princesses and knights, tycoons and soldiers. Here are ten of our favourites. We recommend packing up a picnic for your day out delving into history – and slinging in a pair of sturdy shoes (the walks at some of these castles are breathtaking, in every sense of the word). 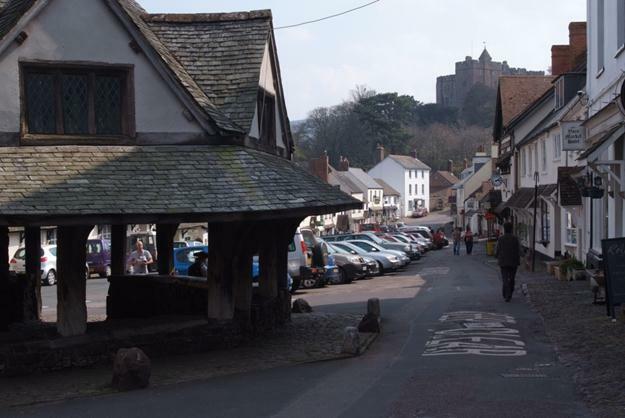 High on a hill overlooking Exmoor, Dunster Castle has real romance with its turrets and towers. Marvel at the fine interiors at this fortress with over 1,000 years of history to discover. As well as the castle, there are the gardens to explore, which are home to subtropical plants and the National Collection of Strawberry Trees. While you're here, visitors can play the piano, enjoy a game of snooker or handle a replica shotgun. There's an activity pack for children and a picnic area too. 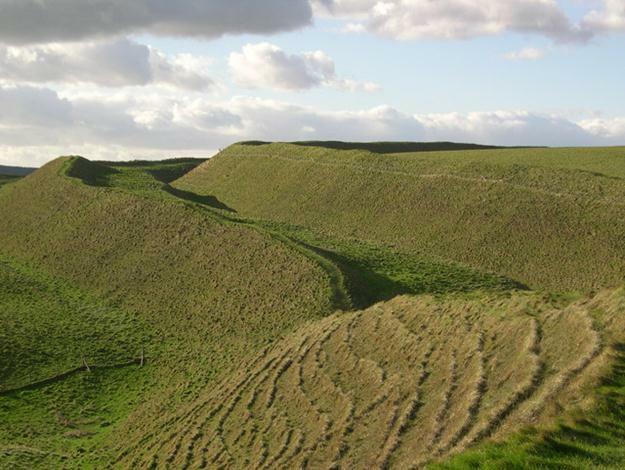 Covering an area of more than 50 football pitches, Maiden Castle is Britain's largest and most complex Iron Age hillfort. The castle was built in 600 BC, over the remains of a Neolithic settlement. Over the centuries that followed, the hillfort was extended and additional defences thrown up around it. Today you can wander the old ramparts and enjoy beautiful views of the Dorset countryside. In nearby Dorchester a stroll through the centre of town reveals Roman, medieval, Tudor and Georgian buildings jostling for space; Dorchester's numerous museums will help you make sense of all this history. Berry Pomeroy Castle – Devon's Most Haunted? Reputedly Devon's most haunted castle, Berry Pomeroy is secreted away in a steep wooded valley. The 15th Century ruin still displays a wall painting of the Three Kings in its gatehouse chamber. The great Elizabethan mansion of the Seymours was intended to become the most spectacular house in Devon, a match for Longleat and Audley End, however, it was abandoned by 1700 and subsequently became the subject of many a chilling ghost story, some of which can be heard in the audio tour. To get a good view of the ruin from below, take the woodland walk, although this can be steep in parts. 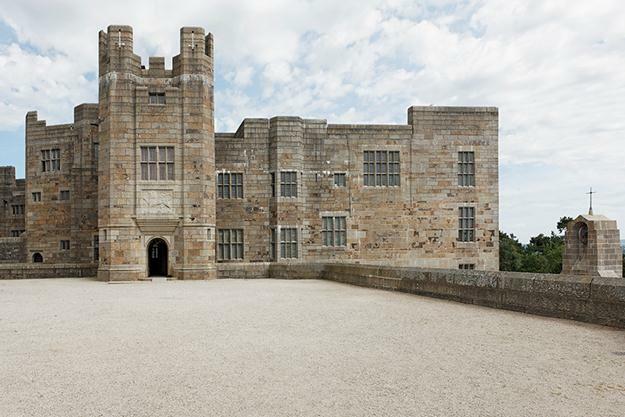 England's youngest castle was commissioned by retail tycoon Julius Drewe and was the last castle to be built in England. Castle Drogo was designed by Sir Edward Lutyens and built of Dartmoor granite with all the mod-cons of the 1920s. At 300 metres high, it catches the wildest of Dartmoor's weather. Try a spot of croquet on the croquet lawn or amble through the garden and miles of walks in the Teign Gorge. Lydford Castle – Annoyous, Contagious and Detestable! Lydford Castle was built in 1195 AD at a cost of around £35. Further alterations were made during the 13th Century and it was used as a prison and a court of law during the Middle Ages. It became notorious for harsh punishments, earning it a reputation as 'the most annoyous, contagious and detestable place within this realm'. Even in its present condition modern day visitors can still get a sense of its intimidating past! Lydford Gorge, the South West's deepest gorge, is nearby, where a woodland trail runs alongside the River Lyd to the 'Devil's Cauldron' whirlpools. 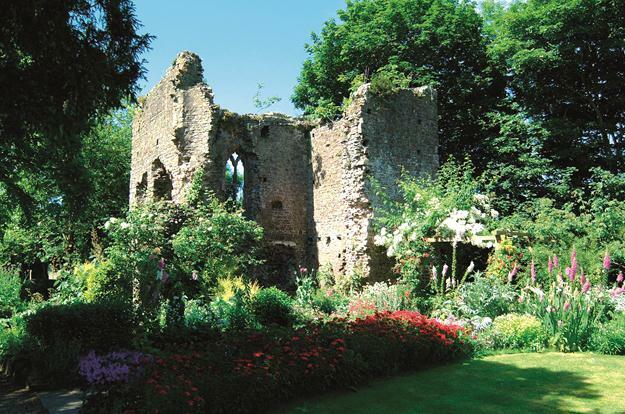 Located in the centre of the historic market town of Tiverton and originally built for Henry I, Tiverton Castle encompasses 900 years of history. It was once the home of the powerful medieval Earls of Devon and of a Plantagenet Princess. Additions and alterations were made to the castle down the centuries, so examples of all periods of architecture, from medieval to modern, can be seen here. Visitors can try on Civil War armour, see the medieval loos, learn about the castle's ghosts and secret passages and explore the beautiful walled garden. Located on opposite sides of the mouth of the Fal Estuary, together these castles stood guard against attacks from France and Spain during the 16th Century. 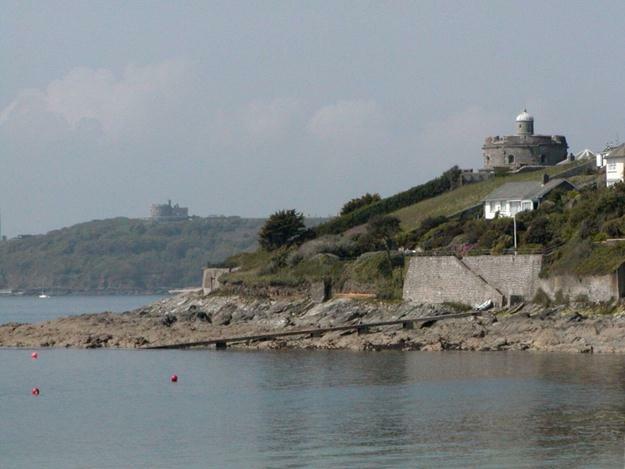 The impressive castle of St Mawes is one of the best-preserved of Henry VIII's coastal fortresses. Located on the headland near Falmouth, Pendennis Castle has an interactive exhibition where you can experience the sights and sounds of battle and relive an enemy attack on a Second World War observation post. 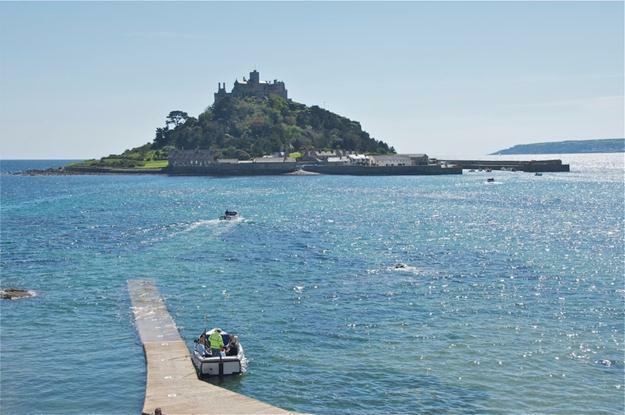 Today, the superb location of both castles, with stunning views of the coastline, make them great spots to enjoy a picnic, as well as fascinating places to delve into the past. Launceston Castle dominates the surrounding landscape. 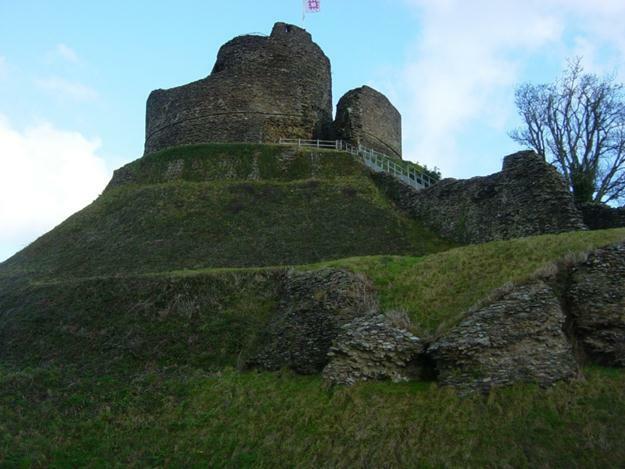 It is set high on a large natural mound and the imposing ruins peer over Launceston town. Begun soon after the Norman Conquest, its focus is an unusual keep consisting of a 13th Century round tower built by Richard, Earl of Cornwall, inside an earlier circular shell-keep. The top of the tower is reached by a dark internal staircase. The climb is rewarded with impressive views across the surrounding countryside from the battlements. A display traces 1,000 years of history, with finds from site excavations. Steeped in myth and legend, the remains of Tintagel Castle are at the heart of Arthurian legend. The location of the castle is spectacular – half a mile outside of Tintagel, across rugged clifftops, with no access for vehicles. Tintagel Island is attached to the mainland by a sliver of land, enhancing the wild and romantic atmosphere of this legendary place. While you're here, drop in at Tintagel Old Post Office, a 600 year old traditional Cornish longhouse with a fully restored Victorian post office inside. This local landmark looks like something straight out of a fairytale; a medieval castle perched on top of a little tidal island, complete with cobbled streets and even its own harbour and gardens. 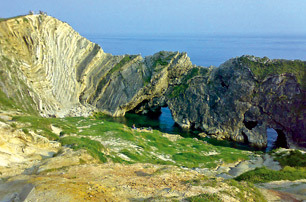 According to legend, it was the home of the Cornish Giant Cormoran. The ferocious giant would come ashore to pillage sheep and cows from the village of Marazion, until one day a plucky young lad called Jack tricked him into falling into a pit. It's said the giant's bones are buried beneath the castle. Come by foot across the granite causeway at low tide. Or take the ferry at high tide. The Godolphin Arms near the ferry departure point has great views across Mount's Bay.